In November 2005, I featured the incredible 1973 studio version of this tune; and although there is a different cast of players here on this live version from November of that same year, I want to testify that this one cooks very nearly as much. You can go back and read what I wrote (in those days the posts were shorter, which will probably please a lot of you). While you're at it, you might check out another post, where I first featured a cut from this performance at Ultrasonic Studios in Hempstead, NY, which was broadcast on a local radio station. Last summer, after having a generous reader send me a CD containing other material from the show I did not have, I updated the post with a list of the players and some other information. After I originally posted that live track, I was contacted by none other than Darrell Leonard, who played trumpet for Dr. John on that tour. Darrell now plays with the Phantom Blues Band, maybe best known for their association with Taj Mahal, but all are monster players in their own right. Darrell and saxman for the PBB, Joe Sublett, also perform as a horn section for hire, the Texacali Horns. His cassette tape of the show had long since slipped into another dimension; so I was happy to hook Darrell back up with some of his past glories, at least one gig's worth. From what he told me, playing with Mac was a lot of fun, what he remembers of it! One of the real pleasures on this live "Qualified" is getting to hear esteemed HOTG drummer John Boudreaux work out on an intense groove, surrounded by a fine ensemble. Throughout the entire show, his touch is impeccable. There haven't been a lot of Dr. John concert recordings over the years. His first officially sanctioned one was 1997's outstanding Trippin' Live. A decade or so earlier, an LP and CD of a fine London show with a band of Brits, Such A Night, was released in England in the 1980s. I featured a cut from that back in the early days of the blog. There are some other board tapes and the like of shows floating around; but the Ultrasonic gig is hard to beat. Still, the right place to catch the doctah is real live. I encourage you to do so. He definitely still has all of the qualifications. PS - As I was listening to this once again, I recalled that James Booker performed his own take on this tune live and on record, calling it "Classified". It being Thanksgiving Day, I thought I'd dish out this James Booker song with a foodish title (turkey is the meal of choice on this US holiday - deep fried whole sometimes in Louisiana - or for the vegetarians, tofurkey. Rather than referencing leftovers, when he chose this title, Booker, an incredibly complex trickster and keyboard virtuoso with a heavy drug monkey on his back, was making a veiled play on a junkie term for kicking the habit: cold turkey. Already a prodigious pianist, Booker came to Houston in 1960, around 21 years old, at the end of a tour where he'd been playing organ in Dee Clark's band. While there, he picked up work with the infamous music mogul Don Robey, playing gigs at his Golden Peacock club and sessions backing artists on his Duke and Peacock labels, probably getting hired through fellow hometown pianist Ed Frank, who was arranging music and scouting talent for Robey. After Booker did some sessions with Junior Parker and others, the label owner gave him the chance to record some organ instrumentals. The first two, "Gonzo" backed with "Cool Turkey" came out on Peacock, with the top side becoming an unexpected and substantial hit, charting in the R&B top ten and fairly high in the pop charts as well that year. Jeff Hannusch, who devoted a chapter to Booker in his essential book, I Hear You Knockin', says that the record was one of Robey's most commercially successful releases, although I don't recall hearing it on the radio back then - and I listened a lot. My bad luck. This was also the only time James Booker's name would grace the charts. For that reason, I'm tossing in "Gonzo" for Turkey Day lagniappe. Hannusch relates that Ed Frank came up with the title, which was Booker's nickname, taken from the movie The Pusher - can we see a theme developing, with a side on his next single called "Smacksie"? Despite the success of this track, Booker got essentially nothing out of it, having signed away the writer's credits to Robey (his oft used alias D[eadric] Malone) and all other rights as well. There were three more attempts to revisit the success of "Gonzo" on Peacock singles that did not get it done; and Booker was the featured player on two other hapless instrumentals for Duke, released under the name of drummer Earl Forest. With no more action from those, Booker and Robey parted ways by 1962. That year he was in New Orleans, playing organ at several clubs on Bourbon Street, and living with his old running buddy, Mac Rebennack. There are several connections beyond narcotics with Booker and Mac Rebennack that come to mind when I hear these tunes. First of all, he and Mac had been friends since their teenage years, when they hung out at Cosimo's studio, managing to pick up some session work and gigs despite their youth. Then, after Mac had gotten into an altercation in Florida that resulted in a debilitating gunshot wound to the ring finger of his left hand, which kept him from playing guitar (his main instrument in those days), Booker taught him the ins and outs of the organ. That was in 1962, and, with the instruction and Booker's knowing club owners in the Vieux Carre, Mac was soon able to get steady work on the new instrument. Thus, he kept on the always precarious musical career path, prepping for bigger things to come. Later, Mac concentrated on the piano work he is most famous for these days, again with inspiration from Booker, among many others. In the 1970s, Rebennack would try to repay the favor by using Booker in the Dr. John road band; but Booker's antics on- and off-stage made that a continual challenge.Yet, despite the difficulties dealing with a true poster boy for eccentricity, Mac had a huge respect and awe for his gifts which were lost to the world in 1983, when Booker died of an overdose. This week my old PC (piece o'crap), that I've been threatening to replace for years, finally crashed, necessitating that I make good on the threat. Meanwhile, I'm using my wife's more up to date model on a time-sharing agreement, until my new one arrives. So, life and blogging can go on (hey, it's a credit economy); and I'm back with a couple of songs and artists Mac Rebennack/Dr. John was involved with during the mid to late 1960s, when he was based in Los Angeles. Because many first rate New Orleans players (Plas Johnson, and Earl Palmer, to name but a few) had migrated to the L.A., CA music scene over the years, taking advantage of the fairly abundant work available in a major recording center, Mac was in good, familiar company there. He had hightailed it out to la-la-land in 1965 after serving some time in the poky for a drug bust back home, needing a change of venue, though not yet willing to change his ways. Seeking income in the new locale, he re-connected with Harold Battiste, who had recorded him and used him on sessions at AFO Records a few years earlier. Battiste had moved West with other player/owners of AFO, after it went belly-up, and began working with Sam Cooke and his record company, SAR. After Cooke's tragic death, Battiste continued to do projects with Cooke's business partner, J. W. Alexander, who generously hired Rebennack for various small jobs and helped him get established. As Battiste got more arranging and production calls, particularly for the trendy pop duo, Sonny and Cher, Mac continued to work for him and make other connections, as well. He kept writing songs, collaborating with other old New Orleans runnin' partners, Dave Dixon, 'Shine' Robinson and Jessie Hill, with whom he started a publishing company and label. Eventually, through Battiste, Mac got some unused studio time from Sonny and Cher sessions; and he and the producer put together the first Dr. John LP, Gris Gris. But that's a story for another day. The songs we're focusing on now came out around the time of his career changing Dr. John project, but were separate from it, though they clearly had various direct and indirect connections to the transplanted Rebennack and the Home of the Groove. At the tender age of 12, twins Tyrone and Jerome Aubry recorded their first single with New Orleans producer and label owner Stanley Chaisson, having performed at talent shows since they were just 8. Chaisson, a drummer and recent high school graduate, had started his own record labels around 1961, while working for All South, a large New Orleans record distributor in New Orleans. He loved music and had gotten interested in the business side while hanging out and running errands at Cosimo Matassa's famed studio, which is where he first met Mac Rebennack. After hearing the Aubrey Twins at a show, Chaisson started managing them and released their first single on his Chase label in 1963. The follow-up to that, "Hip-ity Hop" b/w " Take Me Home With You", both written by Rebennack, came out on Jamie, owned by Huey Meaux, who produced the sessions at Cosimo's. Chaisson soon upped the ante by getting the twins a deal with ABC Records, who sent the boys to Muscle Shoals to record at Fame Studios. The sessions were under the direction of Nashville producer Felton Jarvis, who had worked with Elvis. Recording songs selected from Nashville publishing houses by Chaisson, including Lennon and McCartney's "I Saw Her Standing There" which had not quite hit it big yet for the Beatles stateside (as soon as it did, the twins version couldn't be released), the Aubrys were moving strongly in a pop/rock direction for ABC; but their high quality records ran into resistance at radio stations unwilling to take a chance on black artists crossing over into pop. Still, their unique approach got them national touring gigs and an appearance on the Tonight show in New York. After the ABC deal went cold, the twins, still teenagers, signed with Epic and recorded two singles in Los Angeles, where Chaisson enlisted hometown expatriates such as Harold Battitste, who arranged the tunes, and various musicians, including John Boudreaux on drums, and likely Rebennack as well, for the 1967 sessions. Mac wrote both sides of the first single, "Poor Boy" backed with "Give It Up", and co-wrote with Jessie Hill both on the second, "What Is Love?" and "Love Without End, Amen". A funky mover, "Poor Boy" is my personal fave of a good lot, with a fantastic groove by Boudreaux, nice horns, and well-phrased, rhythmic singing by Tyrone and Jerome, who could sound a bit like the Everly Brothers at times - a stone soul act they were not. That the flip side, "Give It Up", sounds like a Monkees track should not be surprising, considering the time and place of these recordings, and the fact the Mac actually played on some Monkees sessions, which had many of the best studio pros in LA on them. This is the kind of music from the L.A. production lines that was getting on the radio; but for whatever reason, perhaps the same problem that met their ABC efforts, the Aubry Twins weren't getting spins. Their second Epic single fared no better than the first, despite having the great uptempo raver on it, "Love Without End, Amen", one of many worthy Rebennack and Hill collaborations. If you're a label reader (I encourage it, of course), you'll note on the photo of "Poor Boy" that the twins' name is misspelled, as it frequently was, and that the producer credit is to Charles Greene and Brian Stone. I don't know how they came into the picture, as they managed Sonny and Cher and Buffalo Springfield in those days; but Chaisson and Rebennack were directly involved in putting together the music on the Epic project. Greene and Stone may have helped make the deal. Of course, Greene later became Dr. John's manager, with rather disasterous results. 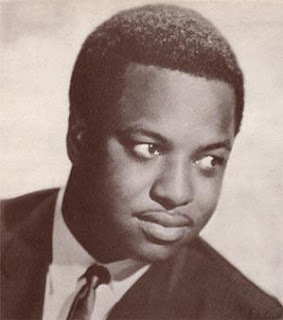 The next year, Chaisson produced what would be his last session with the brothers, "When the Lights Go Out" b/w "I Can't See Nobody" (a move into soul territory), that was released by MGM and also failed to chart. Joining him to work on the New Orleans recording were two great guitarists, George Davis and another of Chaisson's artists, Deacon John Moore. Up until Katrina, the Aubrys were still gigging around New Orleans; and I hope they still are. All their work for Stanley Chaisson can be found on the Night Train ttwo volume CD set, The Best Of Chase Records, with excellent notes by Michael Hurtt, from which I gleaned much of this information. The compilation is a revealing look into the mostly pop side of the New Orleans music scene at a time when the R&B influence had faded and funk was just beginning to emerge as a distinct genre. Shine's association with Pulsar was short-lived. As Battiste recalled in the notes to the Gumbo Stew CD series that features ten tracks from those sessions, "I found out that the company was bogus after I signed with them and I kept the tapes." There were two singles released on Al Robinson before Battiste ducked out, "Sho' Bout To Drive Me Wild"* (written by Robinson, Rebennack, Jessie Hill and King Floyd - hear it at the B-Side) b/w "Empty Talk", and "Give Her Up" paired with "Soulful Woman". A number of other tracks were left in the can; and it is from those that I pull "Cry, Cry Cry", a cooking little number with some fine push/pull/slip/side drumming (Paul Humphries played on at least some of the tracks, and maybe Boudreaux on others), and a great jazzy, quasi-Latin arrangement from Battiste. In all likelihood, that's Mac on the organ solo, at least, and probably Shine himself on one of the guitars. It's a sin and a shame that this one never got a chance to be heard back in the day - but props to Ace Records in the UK for including it, and Robinson's other L.A. work with Battiste, on Gumbo Stew. Shine was a sweetheart, he was just too good. He just had this distinctive, soulful voice that was instantly recognizable. * "Sho' Bout" was also well-covered on the otherwise flawed Dr. John collaboration with Michael Bloomfield and John Hammond, Jr., Triumvirate, I featured it on March 1, 2005; and it can be found in the archives. Here it is a week into November, already. I've been so busy, not only did I miss posting some Halloween-related music this year, but I almost forgot that I'm now entering my fourth year of blog-consciousness, having started HOTG in October, 2004. Amazing. I'm posting less than I'd like to these days, but feeling lucky to be posting at all. As some consolation, my tech-savvy and generous friend and cyber-guru, Jockomo, created the HOTG webcast this year, still streaming along at hotg.org. I add to that playlist frequently. So far, it's up to 15 funkifried hours or more of seldom heard New Orleans tracks in rotation, mainly from the HOTG post archives; and we plan to lay in some choice cuts of more recent vintage, too, if and when we can. But the entire project is still at the mercy of the mega-corporate entertainment industry, which has yet to make a decision on the fate of us poor, microscopic web stations - virtual plankton drifting along in a sea of broadcasting sharks. Anyway, tune in while you can. It's a day to day thing. November being Mac Rebennack/Dr. John's birth month (he''ll be 67), I thought I'd take the opportunity to feature some more of his music as performed by his own bad self and others. Let's kick it off with a track that features him in his best 1970s hoodoo/hipster/philosopher mode. Already a seasoned bandleader, songwriter, producer, and session man for over a decade, Mac Rebennack emerged as Dr. John, the Night Tripper, on his debut Atlantic LP, Gris Gris, in 1967, concocting a mind-blowing, ground-breaking expression of the many intertwined musical and cultural influences of his hometown. The character he assumed, the hoodoo hipster shaman, was inspired in part by a routine his former partner Ronnie Barron had played around with, as well as by his onetime AFO labelmate, Prince LaLa, and the many characters he encountered hanging around the spirtual churches of New Orleans, starting as a teenager. The music he cooked up over the course of his first four LPs blended sounds and rhythms of the Afro-Caribbean diaspora, including voodoo/hoodo rituals, second line parading, Mardi Gras Indian chants and Carnival revelry, plus jazz, barrelhouse R&B, and deep dark fonk, all steeped in the free-form psychedelic vibe of the times. As he relates in his revealing (and recommended) autobiography, Under A Hoodoo Moon, Mac envisioned this fourth album for Atlantic as a large scale project, a three LP conceptual composition that would reflect the feelings and atmosphere at different times of the day: a Sun LP for morning, a Herbs LP for later in the day when partaking of various herbal blends, and a Moon LP for night music. Coming off a difficult European tour that most of his regular band could not make for various reasons, Mac and his crooked, crazy manager, Charles Green, decided that England would be a good place to work on the album, and booked time at Trident Studios in London. Having only his regular drummer, Fred Staehle, and background singers with him after the tour, Mac sent out a call for recording musicians and got a large, diverse assortment to participate, including Eric Clapton, some members of Stevie Wonder's band, saxophonist Graham Bond and a large horn section, numerous African and Caribbean percussionists, and even Mick Jagger contributing backing vocals in spots. According to Mac, the stoned-out but productive sessions generally went very well, resulting in hours of prime material recorded around the clock over several days. Satisfied with the the tracking phase, Mac shipped the tapes back to Green in California to be mixed, mastered and turned over to Atlantic for release; but Green had other ideas and withheld them, forcing a confrontation, with Mac demanding he hand the masters over. When Rebennack finally brought the tapes to Atlantic's Southern headquarters at Criteria Studios in Miami, he was shocked and disheartened to discover that much of the material he recorded was missing and many of the remaining tracks had been altered by Green. It took Mac and Atlantic's Tom Dowd many weeks to overdub some of the missing sections and piece together enough material to assemble an album, reduced to just one LP, named The Sun, Moon & Herbs, with a total of six complete songs on it - a mere shadow of the original idea. As with many of his songs of the period, the lyrics and music here were inspired by Mac's expriences in those spiritual churches he grew up around, with their Santeria-like mix of Catholicism and elements of Afro-Haitian voodoo, hoodoo magic, plus various sprinkles of other world religions thrown in to taste. Dr. John tells us a tale of receiving enlightenment from a wise old dude on Decatur Street (French Quarter: the scene of many a transcendental moment!) who had a John the Conqueror root in his hand and a universal state of mind. The female chorus adds a sense of mysterious ritual majesty to it all. It is truly a credit to Mac Rebennack's prodigious talents, determination, and maybe a few potent incantations and some good gris gris, that he and his career survived this tumultuous period. He was consumed by a serious heroin addiction that continually disrupted his life and art and allowed him to fall victim to shysters like Charlie Green, who did not have his best interests in mind or at heart, to put it mildly. Yet, after the SM&H debacle, with several years left on his Atlantic Records contract, Mac regrouped, dropped Green, and, at the urging of Jerry Wexler, made a classic Dr. John album dedicated to his hometown R&B roots, Gumbo. He then worked with Allen Toussaint and the Meters on two LPs that got him into the pop charts, In The Right Place and Desitively Bonnaroo (which I have featured previously - check the links provided). Though he has long lived far from the city of his birth and musical beginnings in the Ninth Ward, Mac has become a personification of New Orleans. He radiates the city's spirit and funk, which inspire and color every quirky word he says and note he plays. If you are not overly familiar with his career, you can pretty much start anywhere and hit some pay-dirt fairly easily. I encourage you to do so. In the meantime, I'll be featuring some more of his more obscure endeavors in the coming days and weeks.